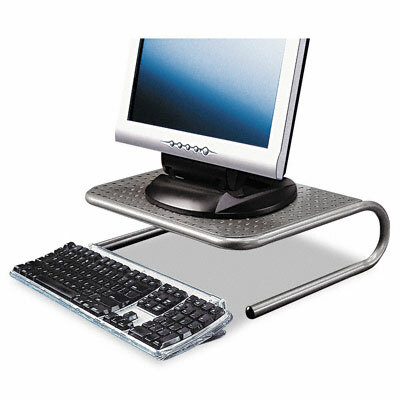 Elevates LCD monitors to ergonomic desk height, reducing strain on back and neck. Durable construction ensures extra support. Finish on surface helps prevent scratches and scrapes. Stylish, sturdy metal goes with any office décor.